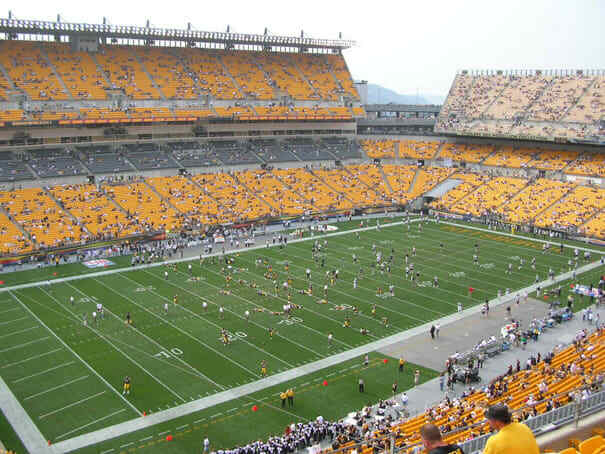 Steelers fans are legendary as some of the greatest in the game (home sell-outs every Sunday, Monday, Thursday, and Saturday since 1972) and when Heinz Field went up in the shadow of the former Three Rivers Stadium in 2001, they got a home worthy of their dedication. If you want to go steep yourself in the ways of the Steel, then pay a visit to the Grand Concourse and get a taste of history. And nevermind the Bullucks—those Terrible Towels ain't for stompin'.